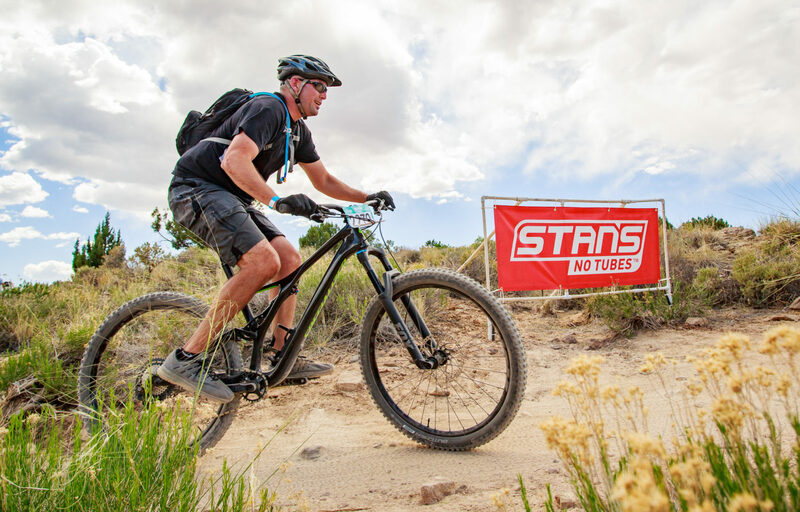 Why should adults get to have all the pedal-powered fun at the Grand Junction Off-Road? 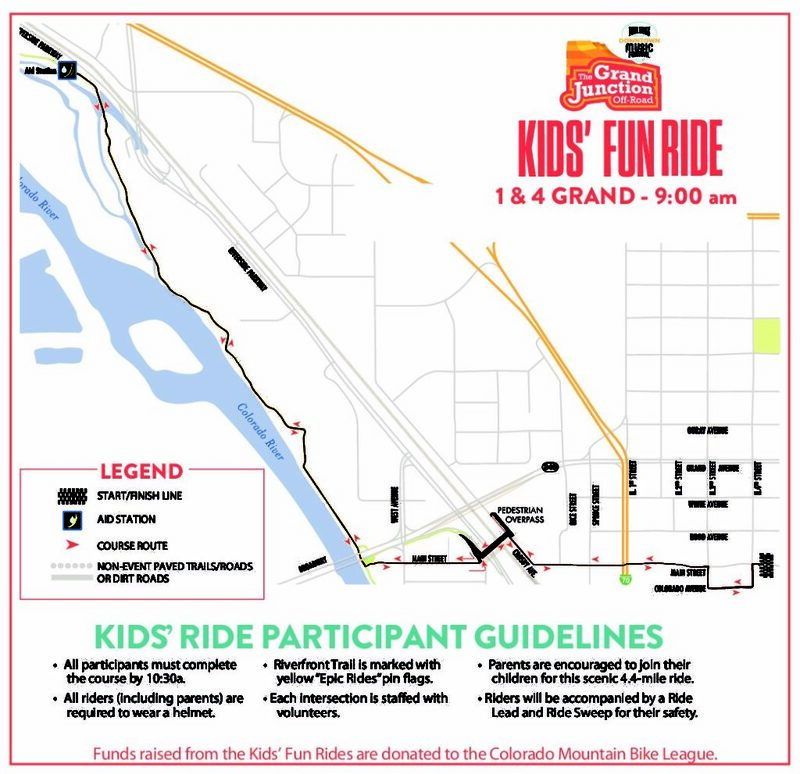 The Kids’ Fun Ride features two different courses – the 4 Grand and the 1 Grand – on Sunday morning after the Pro sendoff, perfect for kids of all ages and skill levels. 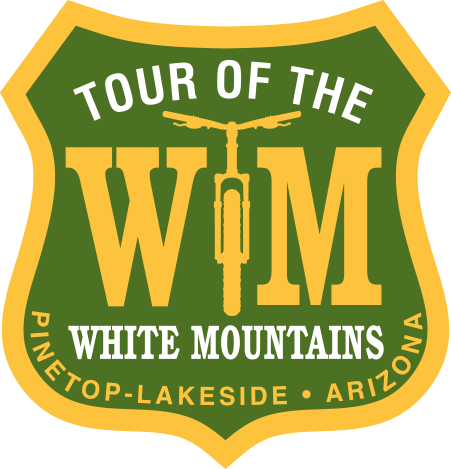 Each course will have volunteers and signs directing riders along the route. 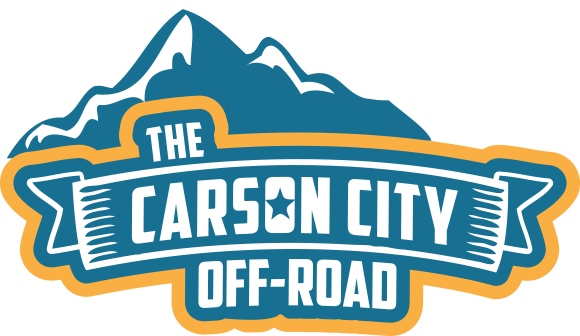 The course is on closed streets, sidewalks and/or an open bike path away from traffic. Both courses must be cleared by 10:15a in preparation of the first Pros returning to the finish line. 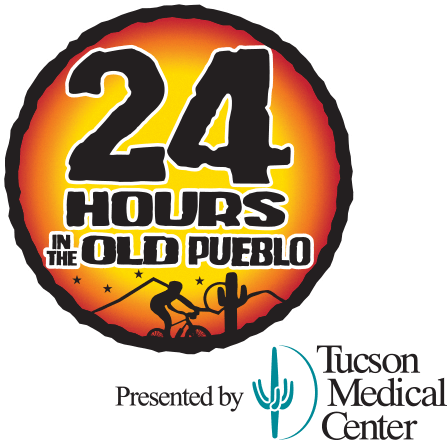 4 Grand – Riders will tour through downtown, over a pedestrian bridge and to the Colorado Riverfront. The river path will take riders west along the river for roughly one mile. 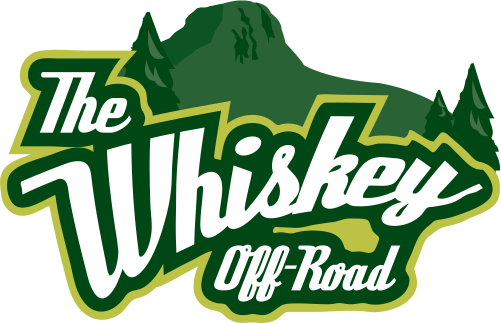 This is an out’n back style course and is recommended for mini-shredders and experienced riders only. The course is trailer friendly. 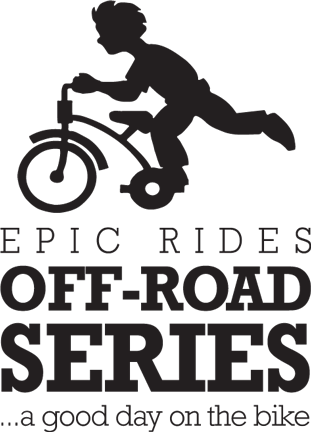 1 Grand – Multiple laps around a half-mile closed course in the heart of downtown Grand Junction. This course is recommended for young children riding strider bikes and trikes. Parents are welcome to walk, run or ride along with their kids. $10 donation to the Colorado High School Mountain Bike League. Scholarships are available.